A complete guide to cover "What, Why, Where, When and How" of Vitamin E! Vitamin E is a vitamin that dissolves in fat. Vitamin E deficiency, which is rare and usually due to an underlying problem with digesting dietary fat rather than from a diet low in vitamin E, can cause nerve problems. The crucial function played by Vitamin E that makes it a vitamin is poorly understood, but may involve antioxidant functions in cell membranes. Vitamin E is a nutrient that's important to vision, reproduction, and the health of your blood, brain and skin. Although it is still very debatable but Vitamin E is considered extremely useful. Some people use vitamin E for treating and preventing diseases of the heart and blood vessels including hardening of the arteries, heart attack, chest pain, leg pain due to blocked arteries, and high blood pressure. Vitamin E is also used for treating diabetes and its complications. Women use vitamin E for preventing complications in late pregnancy due to high blood pressure, premenstrual syndrome (PMS), painful periods, menopausal syndrome, hot flashes associated with breast cancer, and breast cysts. It is also an antioxidant. This means it helps to slow down processes that damage cells. 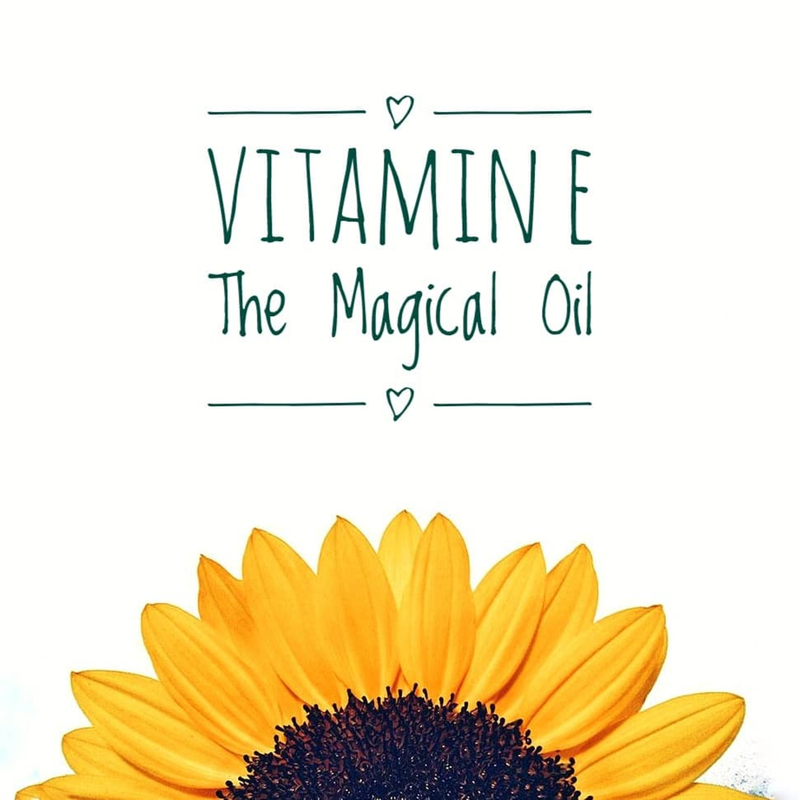 Vitamin E deficiency is rare but it might happen due to an underlying problem with digesting dietary fat rather than from a diet low in vitamin E. You can apply Vitamin E oil if you have dry and damaged skin/hair. Vitamin E can be taken orally and it can also be applied directly to the Skin/Hair or Nails. Mix the contents of 1 vitamin E capsules in 1 tbsp of olive oil. Massage the mixture onto your scalp using your fingertips in circular motions. Leave it for 30 minutes, wash off. Mix Vitamin E, Egg Yolk and Coconut Oil. Massage the scalp. Leave for an hour and then wash off. Add Aloe Vera gel and rose hip oil to your vitamin E oil and apply this mixture thrice a week on your hair. Your hair will never look dull and lifeless again. A hot oil treatment combining coconut oil, almond oil and vitamin E oil is one of the most effective and easiest ways to stop hair fall. Take 2 tablespoons of vitamin E oil, almond oil and coconut oil. Warm it gently and then massage onto your scalp in circular motions so that the oil penetrates into the scalp. Leave it overnight and wash it in the morning. This rituals works wonderfully both to curb hair fall and stimulate hair growth. For Dry skin- Massage Vitamin E after cleaning your face at night. Helps in moisturizing the skin and hydrates the skin. For Marks- Aloe Vera with Vitamin E. Use this as a night cream, helps in improving the texture of the skin, also helps in reducing marks. For Under Eye- Mix almond oil and Vitamin E oil in 1:1 ratio and use this as a cheap and effective substitute for under eye cream. Note- Vitamin E oil's benefits are primarily cosmetic and have limited scientific support. Before using vitamin E oil, consult a doctor or skin care expert. Review for Barakat Bottled Juice and Shake. How to Travel for Free. I'm Serious.